**Guest post written by Ben Jacklin. "For any touring outfit, life on the road can be fun, but can also mean a lot of fast food, cramming in the back of vans and plenty of spare time. For musicians, this can present an opportunity to write, practice and even record songs whilst making your way from one show to another. We’ve put together some top tips for putting together your next demo whilst you’re touring, the perfect way to fill the hours from one city to another and at a time when many bands and artists can be at their most creative." **Guest post written by Clay Mills, hit songwriter, producer, performer, and founder of SongTown.com. "People often ask me if they have to do full-production demos to present songs to publishers or major artists? 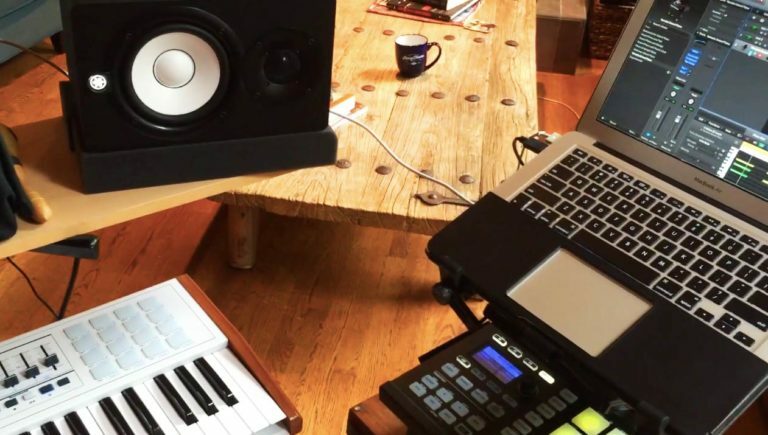 I do a fair amount of full demos, but I also have had about half of my major cuts from pitching home demos done on a very basic set-up on my mac laptop..."
**Guest Post by Mahea Lee of Soundfly. "For many musicians, the idea of recording a demo can seem a bit daunting, especially when taking a do-it-yourself approach. Fortunately for those of us who need a bit of guidance, Black Lodge Recording’s Vishal Nayak has helped the Soundfly team create a brand new course, full of tips for efficient, effective, and stress-free demo production."